We left Yana into the TARDIS after his “failed” regeneration! What will happen to him now? And the Doctors? How will they react to this “new entry”? 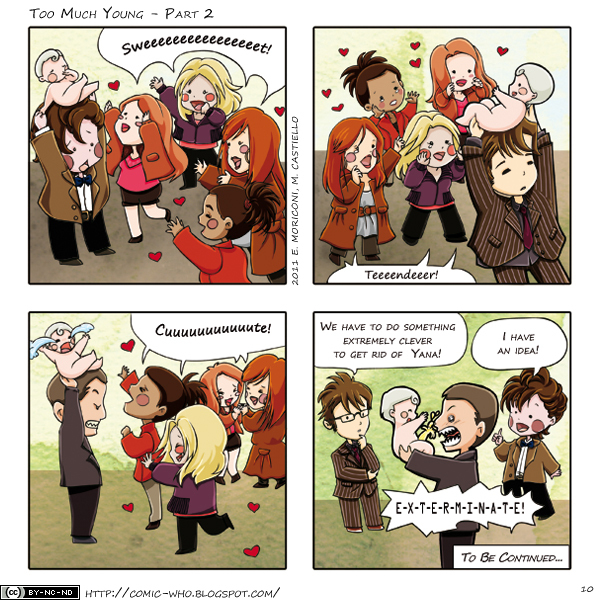 I think this is one of the cutest strips ever. Elisa has done her best in drawing! No more talking, here it’s the strip, see you next time with the ending of this story.